Happy New Year! To thank everyone for a great 2017 we are offering savings for current customers and new, first time customers. 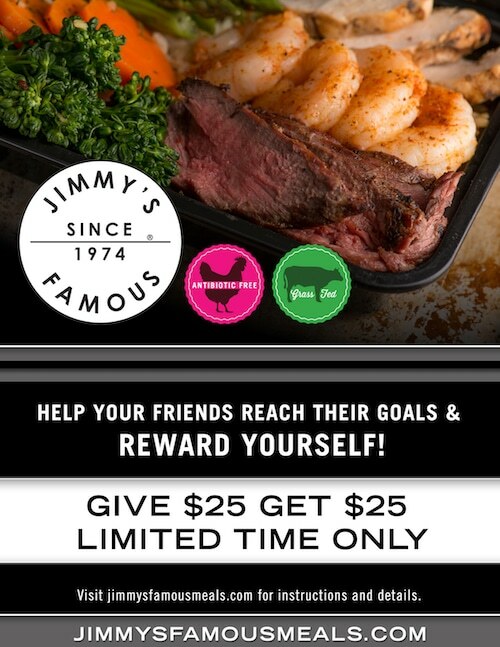 Refer a new customer to Jimmy’s Famous Meals and we will send you a $25 gift card to use at our website and your friend will also receive $25 instant savings, on a minimum order of $100, by using the coupon code you provide them with. Fill out the form below and we will send you a personalized coupon code that you can share with friends and family.